Whether you're a sports fan or not, you're probably aware of a little football game that's scheduled for this Sunday. Fan or not, there's so much more to get excited about when it comes to the Super Bowl though! Gathering with friends, eating delicious appetizers, and looking forward to commercials just this one day of the year. Sports are about so much more than athleticism. Teamwork, perseverance, enthusiasm, and overcoming disappointment are all hallmarks of being a successful athlete. Ready to encourage some of the athletes in your life? Check out a few projects from our own team! Celebrate your all-star with literal stars. 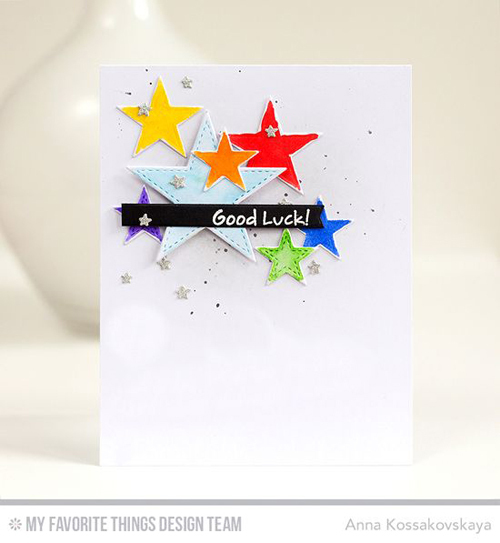 Our collection of Die-namics includes a galaxy of options including the Stitched Star STAX and Inside & Out Stitched Stars Anna used for her clean and simple look. 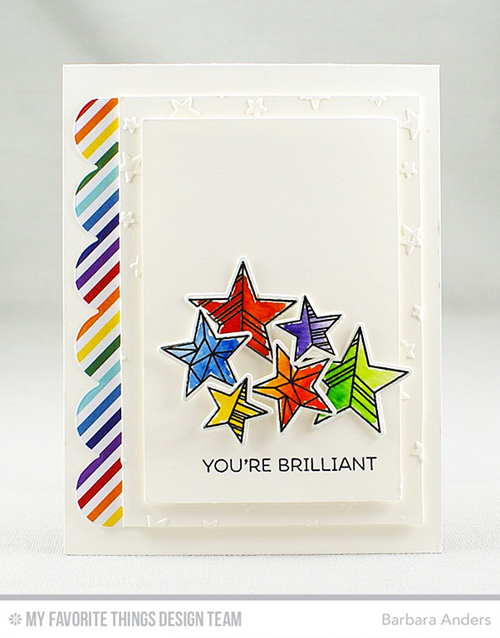 If you're looking to amp up your stars, why not use the Stars Above stamp set and Die-namics? Both Anna and Barbara opted for rainbow colors; Barbara reinforced the theme by adding a scalloped border using one of the patterns in the Rainbow Stripes Paper Pack. Simple and to the point - You Got This is clear and concise. This pertinent sentiment is included in the Encouraging Words stamp set. Add some paint splotches or your own, or use an artistic stamp set like Abstract Art or Distressed Patterns to achieve the effect. 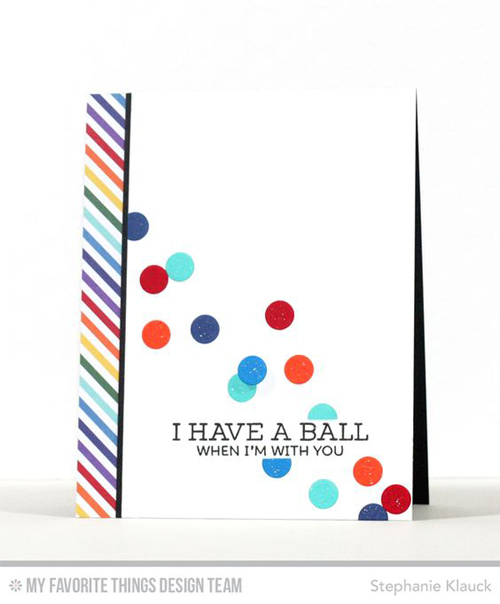 Stephanie turned Gumball Greetings on its head with this fun card! It's the perfect playful design for a favorite teammate...bright, colorful, and easy to replicate. Sad but true - injuries are a fact of life when it comes to sports. 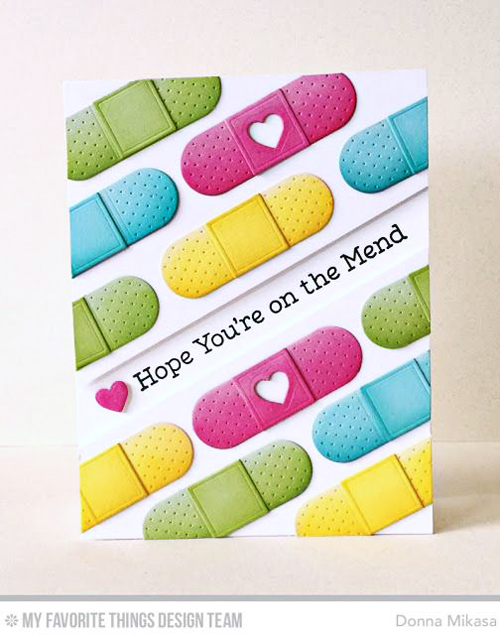 Cheer your teammate on to a quick and easy recovery with a design like Donna's featuring the Band-Aids Die-namics. Even if you're not excited about the prospect of a full day of football, you can at least look forward to some uninterrupted crafting time! 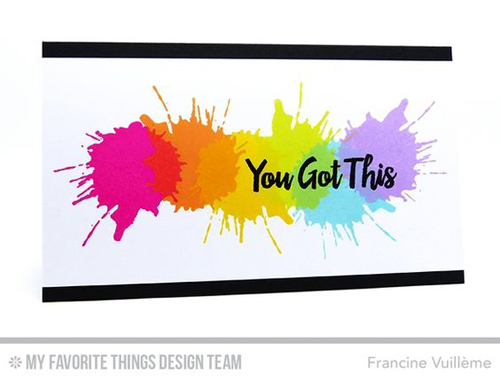 Grab your favorite MFT supplies and Go, Team, Go. Such a bright and fun group of cards. Thanks for sharing.